at the Carondelet Hospitality Center June 6-8, 2014. Diarmuid O’Murchu, Sacred Heart Missionary Order. Please see brochure for schedule and registration details. See brochure for details. This summer, CTA 20/30 is hosting a retreat for people in their 20s and 30s. The workshop/retreat will equip participants with skills to start or re-energize small faith-sharing groups in their communities. The weekend will offer skill-building in how to start and lead informal faith-sharing groups, and will also simply offer an opportunity for spiritual reflection and community-building with other young progressive Catholics. Call To Action members will be heartened and challenged by the personal stories of these young adults. Co-edited by Albany’s own Kate Ward. 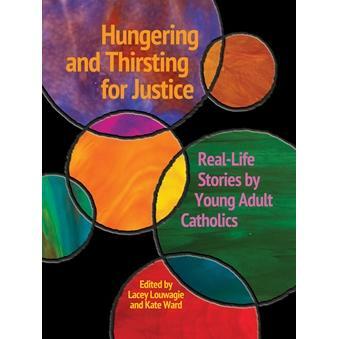 Ten real-life stories, written and edited by young adult Catholics, trying to discover how they are called to carry out their faith within their daily lives. Six of the young authors presented their stories in person and held Q&A at the National CTA Conference in Louisville, KY. An audio CD of the presentation is available at https://www.dcporder.com/cta/?form_id=CTA10 Look for Young Adult Panel Conference 2012. 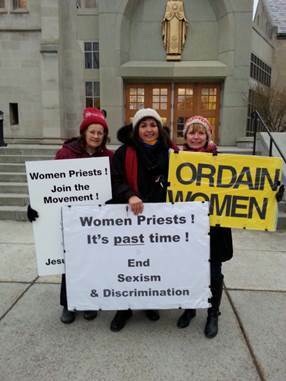 Congratulations to Rochester advocates for Women’s Ordination for a successful Chrism Mass demonstration outside Sacred Heart Cathedral April 15, 2014. 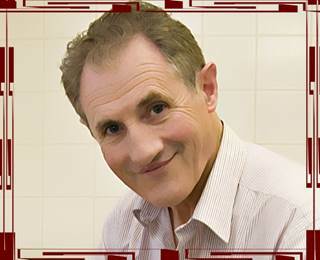 We were there last night…Four of us. One woman (86 year old) had to leave early due to the cold so she’s missing in the photo below. One woman was there despite recent hip surgery and the other is a new retiree who said she wants to continue participating in more of these vigils. Inspired by WOC’s vigil the night before in Washington D.C., we braved 28 degree weather that included snow showers and winds so strong we could barely hang on to our signs. It felt so good to be there. Got hugs from two priests …supporters of women’s ordination… and lots of “thumbs up,” “hang in there,” and “thank you’s” from clergy and laity. Dr. Hayes is a native of Buffalo and received her undergraduate degree from UB. 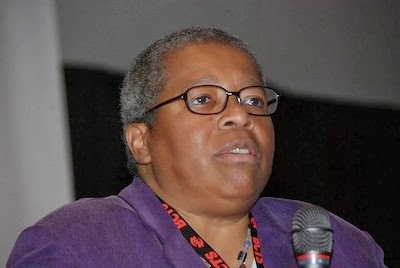 She went on to earn a law degree (JD) from George Washington National Law Center as well as a baccalaureate degree and a licentiate in Sacred Theology from the Catholic University of America. She received a PhD in Religious Studies as well as her STD from the Catholic University of Louvain (Belgium).